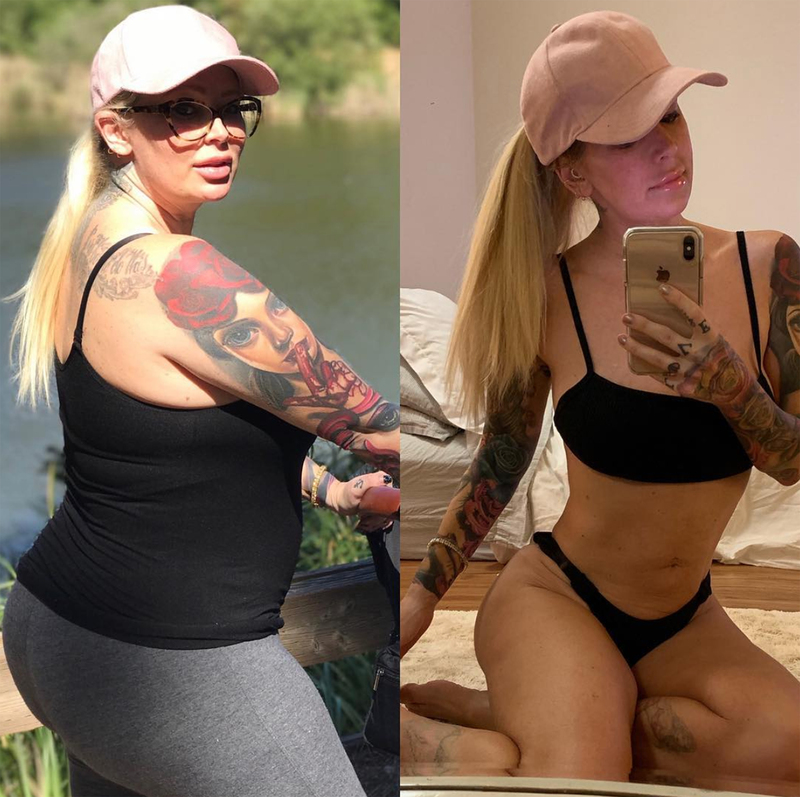 Jenna Jameson is preparing for her trip to Mexico — and that, of course, includes updating her keto diet meal plan. In her latest Instagram post, the former adult film star, 44, opened up about what she’s recently been eating each day to maintain her figure before heading down south for vacation. Sharing a side-by-side photo of herself before and after she dropped more than 80 lbs. on the low-carb, moderate protein and high-fat eating plan, Jameson shared her go-to meals while she’s in “maintenance mode” to Instagram on Thursday. The star began her post by explaining that she wakes up around 8 a.m. and immediately makes a cup of Nescafé, her “favorite instant coffee,” with Stevia. This practice of condensing all meals into a short period and fasting for the rest of day is known as intermittent fasting — something Jameson has previously advocated for as a way to lose weight. Next, Jameson revealed her latest must-eat breakfast consists of three fried, sliced avocados with an egg cooked in the hole of the pit, topped with cheese. Approximately four to five hours later, Jameson prepares a late lunch of her version of a chicken salad. Because Jameson is not currently aiming to lose weight with her meals, but rather maintain her figure and muscle tone, she said she usually eats one more small meal before fasting for the evening. Her most recent keto menu comes one day after the star revealed she was in the final days of preparation before her vacation. “I’m also cracking down on my #keto to try to get lean and mean because more than likely I’m going to enjoy a few taco platters while in Mexico!” she explained in the Instagram post. Since beginning the diet last March, the former adult film star has lost nearly 100 lbs. Jameson first tried it as a last-ditch effort to lose the baby weight that stuck around after she gave birth to her daughter Batel Lu in April 2017. Due to her noticeable results, Jameson has been a proud supporter of the high-fat, low-carb diet. She frequently opens up about her experiences with keto on social media, despite criticism from those who are against her opinion of it, including celebrity trainer Jillian Michaels. Although it was difficult at first, Jameson now has her diet down pat — which she often shares with her followers — as well as her exercises, which don’t always happen at the gym. In the post, she explained that she incorporates mommy-and-me time into her workouts and finds ways to bring fitness into her daily routine.